The jury in the much-hyped Apple vs. Samsung patent infringement lawsuit recently handed down a verdict which basically gave Apple everything it wanted: A billion-dollar payment from Samsung, plus the possibility of an injunction against sales of infringing Samsung smartphones and tablets. Will this mega-lawsuit dramatically alter the way our devices are manufactured and, in turn, affect our decision-making process when buying a smartphone for personal or business use? Probably not. 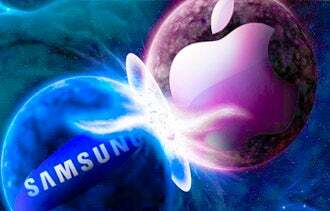 The real outcome of the Apple vs. Samsung lawsuit is likely to be more lawsuits. And perhaps higher prices for non-Apple smartphones. But in the long run, I suspect the effects of this case will be negligible to consumers and business users of mobile devices. Patent expert Thomas Frey of the Louisville, Colo.-based think tank the DaVinci Institute explains, "This is gamesmanship, it's all moving queens and rooks around the chessboard. In the end the legalities won't matter. All the solutions will be off the chessboard. The players will say to each other: 'If you pay me $X, I'll say you win.'" The recent decision will likely be appealed, and it's possible that it may be struck down. But even if the decision stands, it's more likely that Samsung and all Android device makers will keep doing business mainly as usual. Electronics manufacturers, especially mobile device makers, license patented technologies from each other all the time, for a fee. For instance, after a patent "misunderstanding” last year, Apple started paying Nokia an estimated $11.50 for every iPhone sold. Similarly, in a settlement agreement last year, Samsung agreed to pay Microsoft $10 to $15 for each smartphone or tablet it sells. In the U.S. market, the vast majority of smartphones are at a price heavily subsidized by wireless carriers, along with a two-year service contract -- which further obscures the effect of licensing fees on phone prices. So, for smartphone users, the changes likely won't be too noticeable and infringement lawsuits probably won't factor into their buying decisions. Will this lawsuit affect which smartphone you buy for business? Let us know in the comments below.